Keen directed the film from a screenplay by Van Robichaux & Evan Susser (Funny or Die’s “What’s Going On? With Mike Mitchell”), story by Van Robichaux & Evan Susser and Max Greenfield. “Fist Fight” is produced by Shawn Levy, Max Greenfield, John Rickard, and Dan Cohen, with Toby Emmerich, Richard Brener, Samuel J. 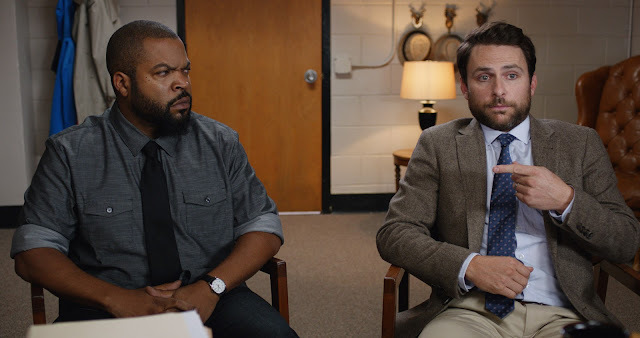 Brown, Dave Neustadter, Charlie Day, Ice Cube, Marty P. Ewing, Billy Rosenberg, and Bruce Berman serving as executive producers. Keen’s behind-the-scenes creative team included director of photography Eric Edwards (“Cop Land,” “Knocked Up”), production designer Chris Cornwell (“Ride Along,” “The Wedding Ringer”), editor Matthew Freund (Comedy Central’s “The Meltdown with Jonah and Kumail”) and costume designer Denise Wingate (“Wedding Crashers”). The music is by Dominic Lewis (“The Man in the High Castle”). This week on the podcast we are pleased to present a roundtable discussion w/ Ice Cube and Charlie Day about their film FIST FIGHT.